Going by the industry analysis Bengaluru was one of the first city to set up the pub and nightlife culture in India. The nightlife in Bengaluru has become very vibrant from last two years when the city got the relaxation of opening restaurant and bars till 1 o’clock at the night. The things have changed adding vibrancy to the ongoing culture in the city which is more globalised and standardised compared to other cities in India. Going by the industry analysis Bengaluru was one of the first city to set up the pub and nightlife culture in India and has ever since known as the ‘Pub Capital’ of the country attracting global investments in the city. In the nightlife business a restaurant has to overcome several odds to get the cash flow. “In the nightlife industry unfortunately we had to work against tremendous odds not only about public opinions but also rules and regulations that have to be complied with,” shares Collin R Timms who started Pecos one of the first pub in Bengaluru 30 years ago adding a new vibe to the city which was changing and enjoying the after work culture. The hardworking people of Bengaluru who need moment to relax after their hard day find difficult to find that kind of outlet. The pubs were the place where people came to relax themselves, spending time with friends. “I think it will only grow once the regulator and the government would realise a vibrant ad safe nightlife if you want to make it a global city inviting global investment, “adds Collin as it is becoming extremely challenging for bars to get the customers in after 11 PM except the weekend. And, for that to change there is more effort that will be required. People in Bengaluru have always liked to have good time and they still have good time. There was a time when Bengaluru was the pub culture of the country. There were times when people used to go out on weekdays and interestingly people used to drink very regularly which was very unusual in other cities. In early 90s it happened that people started drinking and partying only on Saturdays and Sundays. And, somewhere the Bengaluru pub culture started diminishing its own value. But then there was transformation. Loud music, high energy bars started coming in and the whole culture of changed. “Bengaluru has not been a very high cultural city if I say where people can come and enjoy together. So, for them bar and pubs was always a culture where they can come together, celebrate, network and enjoy together,” says Pravesh Pandey, Director, Big Brewsky who is on the road to recreate the same culture bringing the glamour and the glittery back. Similarly, if you get a bar or restaurant on top of a commercial property it adds the commercial value of that property making it more viable both in terms of getting more crowd and visibility. “Pubs, bars and restaurants have actually the capacity of increasing the commercial value of a property. So, if you look at any of the large cosmopolitan city you will find that the lounge, the clubs are at the top of really a tall building which actually bring lots of brand visibility to the building itself,” shares Nirupa Shankar, Director, High UltraLounge who is a developer and has developed some of the best property in Bengaluru and that’s how she entered into the business. And with microbrewery coming into the culture the city is on the move to become the microbrewery capital of the country as it has got lots of innovation and investment happening in the segment. “Bengaluru always had that cosmopolitan culture where people were going and dining out. Since, there was a BPO, IT boom in the country which brought lots of people from different region and that gave a boom to an after work drinking culture. And, bar and restaurants became a place where people were unwinding themselves after the work and that boosted the whole nightlife culture,” adds Meenakshi Raju, Co-Founder, The Biere Club who opened the first microbrewery in the city in 2011 after working with government over licenses and other legal hurdles for almost 3-4 years. Adding to the same lines, Ishan Grover, Brew Master & Partner, R J Brewing Solutions Entertainment Projects points, “We have maximum number of beer volumes and beer styles in the city. 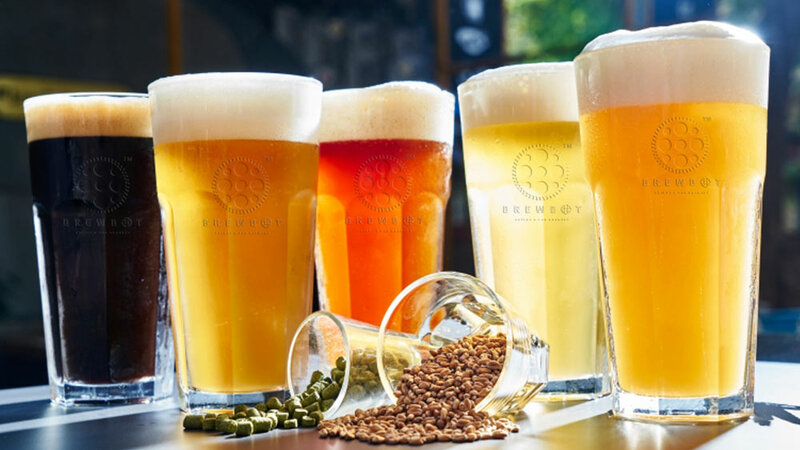 We have the maximum number of seasonal beers that are coming in.” Hence, we can say that the acceptance to nightlife culture is really huge in the city.